Bring a bold burst of fashion sense into your workplace with the EL615 v-neck scrub top by Elle! This printed scrub top is modern and fun, with professional undertones. 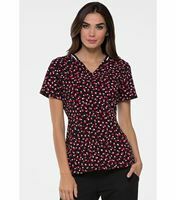 Fresh looking and fashion-forward, as well as fabulously feminine, this scrub shirt is a great way to showcase your style without overdoing it. 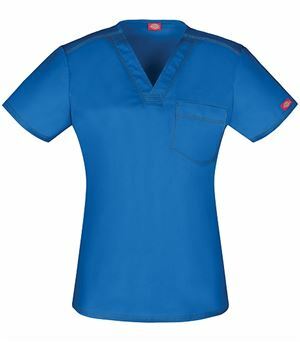 Princess seams in the front and back and ribbed striped detail bordering the neckline add even more detail to this top. 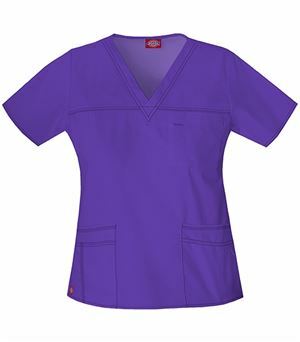 Is also quite comfortable, and flexible, too, with a contemporary stretch fit that contours, and yet still gives your body space to breathe. 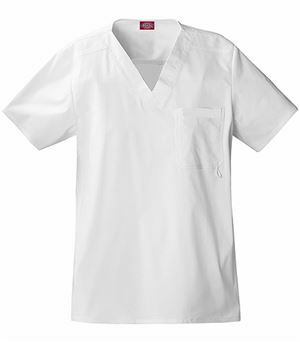 Lucky nurses who aren't bound by color codes, this unique uniform top is just for you!